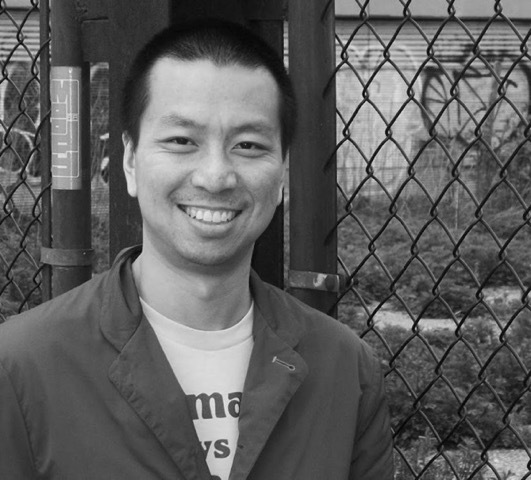 I’m excited to share an interview this week with Leland Cheuk whose novel, The Misadventures of Sulliver Pong, is coming out in November. Leland is a member of my writers group and agreed to pilot a series of questions I wanted to try out. 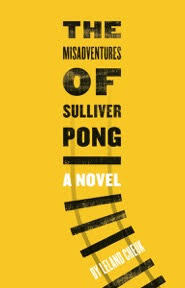 The Misadventures of Sulliver Pong is a black comedy about a dysfunctional Asian-American family. I have read many of Leland’s short stories and can attest to his wit. He sees the world though a comedic story lens. And has a great way with language. I’m excited to share this interview with you. What are some “firsts” that happened during the process of getting your book published? The first 30 pages of the novel got me into The MacDowell Colony when I had no writing credits. Soon after, I got my first agent. I’m a believer in listening and paying close attention to what the world is telling you. And those firsts were telling me that the work that I was doing was not just good, but special. It’s so hard to publish a book. Your chances, if lucky, are like always 1-2 percent. Because it’s so hard, you’d better believe deep, deep down that your work is special, otherwise you should probably be spending your time on something more additive to society. Who was the first person who believed in your as a writer and who helped you think you could do this—publish a novel? And what did they do to let you know they believed in you? How did they support you? I had a writing teacher in my early twenties named Paul Cohen. He ran a private workshop in Berkeley and was the first guy who gravitated to the humor in my work as well as the absurdity. Without saying as much, he made me feel like I was doing something special, even though our work has few similarities. Basically, he was a great teacher. We’re still very good friends and share work with each other. Which part of the book did you write first? Did you start with what the reader will see on the first page? I definitely started with what’s in the book: a very self-conscious narrator’s take on multiple generations of his family’s comic misfortunes. In a lot of ways, it’s exactly opposite of what most writing teachers tell you to do. They would tell you to start somewhere immediate, start in scene. But the first 6-7 pages of the novel are all “telling,” and dominated by the first-person narrator’s brooding, darkly comic voice. The last thing I wrote was the 60 pages or so of third-person narration about each of the Pong patriarch’s lives dating back to the 1850s. I wrote those on the advice of my former agent, and I wrote it fast, over two months, after agonizing over the other 260 pages for years and years. And those chapters are actually the ones I’m proudest of, because they’re historical, absurd, and even poignant, and made the present day story more resonant. And was the title you published with the original title you had for the book or did it have other titles before this one? If so, what was the first title you had for the book and how did you land on the final title? I had a horrible title for a long time, and I’m convinced that the title itself led to many, many agent rejections. It was “Sulliver’s Bordirtoun.” Bordirtoun is the fictional town in the book. It was created (misspelled) by the Chinese people who started the town. A friend visited NYC and suggested “The Misadventures of Sulliver Pong,” and once the title changed, stuff started happening with the manuscript. I got an agent, and then went on another five-year run of rejections! I like the title, but to be honest, I still agonize some over it. Like maybe it should be simpler. Cheuk lives in Brooklyn. The Misadventures of Sulliver Pong will be published by CCLaP Publishing. I really enjoyed these stories he wrote. He will be reading from his book on November 20th in Brooklyn. He also created a fun book trailer. Thanks, Leland for talking with Proto Libro….I look forward to reading The Misadventures of Sulliver Pong and hope some of you want to read it too! I am a huge fan of Haruki Murakami. When I started this blog, I wanted to read his early works and reflect on how they compared to his more well-known publications, but I could only find a couple of rare (and expensive) copies of the books for sale used on Amazon. Now I know why. Although Murakami published his first works in Japanese in the early 70s, they were not published widely in English until this summer. And in fact, Murakami himself did not want the books to be published in English and said that he considers The Wild Sheep Chase, which he published in 1982, to be his first book. But they are now out in the world. Hear the Wind Sing and Pinball, 1973 were published by Knopf as Wind/Pinball in August. The books got widely reviewed and were noted as having all the ingredients of later Murakami novels – jazz music, the surreal, strange random events and his ability to make the everyday magical – but they were considered to be less refined than his later works. Critics said they are a great introduction to Murakami and will be enjoyed by fans. Interestingly, when I looked at the Goodreads reviews, I found that “enjoyed by fans” held up, but those who had not read him before were underwhelmed by this introduction. So what did I think? I agree with the critics that these books have the elements of his later, more developed, work and they are interesting to read because they are like looking at childhood photos of a friend you met as an adult. You see a familiar face in those childhood photos, but there is a youthful enthusiasm that might not be so present in the face you know and love. Hear the Wind Sing is about a young Japanese man home from college for summer break. He spends most of his time in the local bar drinking with his friend named Rat and meets a young woman with nine fingers. Not a lot happens in this book, but the mood of the later Murakami novels is present. Pinball has more plot and is about a young man living in Tokyo and working as a translator. He happens to meet female twins who move with him. And he listens to a lot of jazz records. The book culminates when he sets out to find a vintage pinball machine he used to play. And this is when this book becomes more like the Murakami novels I love. There is a quest that involves unique characters and a surreal climax, after which the narrator goes back to his ordinary life in Tokyo. Of the two, I found Pinball the most engaging as its surreal ending took me by surprise and delivered. But after reading both books, I agree with the readers on Goodreads more than the critics. These are worthy books, and if you are a fan of Murakami, I think you will enjoy them, but for Murakami newcomers, you might want to start with the book he calls his first, The Wild Sheep Chase. This was the first book of his that I read and I found it magical, I could not put it down and read all of his other books I could find in succession afterwards. I am glad to finally read these debuts and to learn about one of my favorite author’s younger writer self. And if you are not familiar with his work, you can explore what he has written on his website. I have not been posting as regularly this fall as I used to, as I have been pulled away on other writing projects. I’m working on a new short story and have a novel of my own that I am trying to get out into the world. But I wanted you to know that I am still reading debuts and am working on new reviews. I no longer have my long commute, so I read now at home, on my couch, instead of crammed into the B or 1 train with hundreds of other people all around me. I will soon be writing about some new titles ….. The title sums up the book: Hepola excavates her childhood and young adult years to understand, and come to terms with, why she became a chronic binge drinker who regularly blacked out. The book begins when she is living in NYC, working as a freelance writer, and goes on a trip to Paris where she has a memorable night that she only half recalls. She then flashes back to her childhood and recounts her life growing up in Dallas, going to college in Austin, and her move to New York. She eventually gives up drinking while in New York where she worked as an editor at Salon.com. Hepola is a gifted writer. She is funny and insightful and does a great job unearthing in print feelings she was not able to discuss when she was a young woman. She writes openly about the pain of growing up: of boys who snapped bras in fifth grade, of being told she was too fat in middle school and of feeling she was never good enough after college. Her story is that of a young single woman who seems to be taking care of herself, holding down a good job, paying her bills, changing her own light bulbs, and yet who gained fifty pounds and alienated many friends after too much binge drinking and too many blackouts. There is no one reason why Hepola drank as much as she did, but eventually she couldn’t live with her habits and found a way to sober up. This is a moving story of a young woman coming to terms with her limitations and finding a new way to live her life. It is at times a sad story, but for anyone interested in addiction or how people turn their lives around this is a good read. I found it as engaging as I found The Tender Bar, for those of you who have read that book. Hepola lives in Dallas and still works with Salon.com.